They build up damage too fast and unlike Shadow Spectres they can quickly swap between targets maintaining said DPS. The only counter is to knock them down/stun them to reset the charge but they often get back up to lvl 3 before you can blink again. 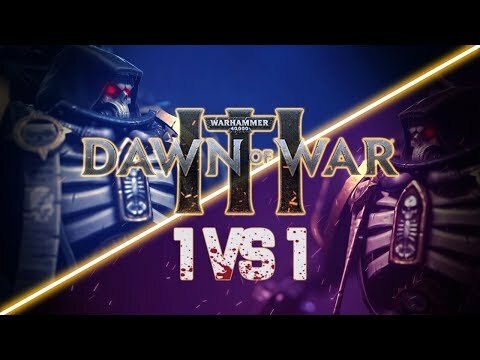 Worse, they deal bonus damage to skimmers and because there's no distinction between vehicles and heavy infantry in this game they also happen to obliterate units like Wraithguard and Nobs. This is one of those ill-advised changes Relic made a few months back that has completely fucked up game balance, much like Tac damage buff. My proposal would be to have Lascannons overheat, much like Plasma Guns do or to significantly increase the amount of time it takes to go from lvl 2 to lvl 3. Probably not a bad idea - but I feel lascannons devs are mostly built not only just for their consistent DPS - but that they can engage from quite a distance as well - this allows them to start drilling in DPS ASAP at a safe distance (and they require no set up time, so they can respond to enemy actions such as Elite abilities - as I said before - a REALLY IMPORTANT aspect of meta gameplay). Compare them to Tacts - less HP but, due to their greater range and ability to heavily damage heavy armor targets, they quickly become a favored ranged DPS unit. Tacticals generally die too quick before they can get any meaningful DPS off. And as you mentioned, Lascannons fully charged are even a decent threat to normal armor - they are better in tacticals in almost every way imo. Then you have normal devastators which are probably the worse weapons team in the game - very slow, hard to protect due to low squad count, and while the DPS is decent - all it takes is 1 CC and they become useless. And unlike Eldar, who can use FoF to run easily, or Orkz, or have an ocean of CC and WAAAGH turrets for defense; Space Marines really don't have great ways to protect or compensate for devestator's weakness. They are really only every good if your opponent AFK A-move's into them. The two closest substitutes for dealing Normal Damage at range aren't very good. Much easier to utilize elites and drop pods and vehicles to clear out infantry and dump your req income into reliable, anti-armor, long range unit to mop up and clear special targets. So, tacts basically don't do enough DPS (combined with Lascannon's full charge doing a lot of DPS) and devastators are too easily countered (and therefore a much riskier choice than lascannons). Even a basic SM player can recognize this and that is why most SM players will heavily build lascannons as the generalist unit. Their damage versus infantry isn't that good. 20% of 75 DPS is only like 15 DPS. It's Scout squad tier. Disagree completely about Devastators. They are weak as an opening unit, but they're very strong as a component of an army. I don't really care about their effectiveness vs normal armour, it's the turbo effectiveness vs vehicle armour and objectives I take issue with. They go from 22 DPS to 48 to 75 DPS in a matter of seconds and they maintain that damageoutput until they are knocked down/stunned. The time it takes to go from 22 to 48 seems okay, but it really should take a lot longer to shoot up to 75 because the damage is transferable to other targets. Shadow Spectres do more damage, but they take longer to build up to it and can't change targets. It should be the sort of thing that only really kicks in during a prolonged engagement versus a tank unit like Dreadnoughts and not something that activates against a Landspeeder driving too close for 7 nanoseconds. Disagree about the devestators - you can maybe get them in team games - but in 1v1 they are really bad in pro games and is why no one builds them. They require a lot of recon/screen to be useful (or else one of the 1 million CC options will just make them useless) and obviously that's easier to accomplish in team games. In 1v1, not so much and this much riskier. You even conceded that you cannot get them at all early game (lol, but Reaper and Loota build more than viable...), and only work as a part of an army BECAUSE units can screen threats for them (spotters). In my experience, devestators even as part of an army are often easy targets for pro players and they can exploit their immobility well. I'd be impressed if you beat, say, babyubyu or Saya or Bhuric (who is barely even ranked yet mops the floor with "top rank" players) with all these viable builds you say bolster your claim that said units are not imba. What I'm saying is that the units you think are "fine" function very differently in the Competitive Meta that takes place in every 1v1 Tournament, for instance (and Team Game tournaments to a lesser degree). I think the vast majority left in the game are not of high enough skill caliber to really play the game at a "competitive" level, and so you are essentially noobstomping on ladder. Fun fact, devastators work well in it's role when doctrines are turned off. And then Tacticals become a good damage sponge and not much more. Well a lot of doctrines either give or boost CC - so I wouldn't be surprised. Believe me, I'd love to sharpen my play against better players. I'm not saying you can't get them early game, just can't open the game with them. You need to get a handful of other units first before the devastator, or play extremely defensively with the devastators until you have a bigger army, or it's very easy to get a bonesinger or servitor on them and get fucked in a fight. Not saying I played perfectly, or Skynet played perfectly, but him and I are both Top ~20 on the leaderboard right now. (And I only just started playing again, so my ranks are far from concrete) Sure, there's probably better players than either of us but at the same time there's a whole lot more worse players than us. I beat Bikerush more than once when he was in the top 3 or whatever nonsense he was, and competed with other top 10 players plenty of times. I would love to do some games vs you or Saya or Bhruic etc because I enjoy competing in the game and if I get my ++heresy redacted++ tucked in, I can adapt and learn from it. Me and Tex spent hours playing DoW2 back and forth and trying all sorts of crazy stuff against each other, last time I played him he was spamming IG autocannons (like 5+) and it was EXTREMELY effective. That's the sort of build people would have derided as useless against good players but it ended up working just fine because he used it extremely well. This is getting off topic though. That's because non doctrinal tacticals are dependent on weapon upgrades. That's why they had piddly bolters and weak frag grenades originally, buffing damage on both of those has been awful for the game and now no one even bothers with the ++heresy redacted++ upgrades half the time anyway. DoW3 tacs are what people desperately wanted DoW2 tacs to be.